There have been various drivers for plastic bag bans around the world. 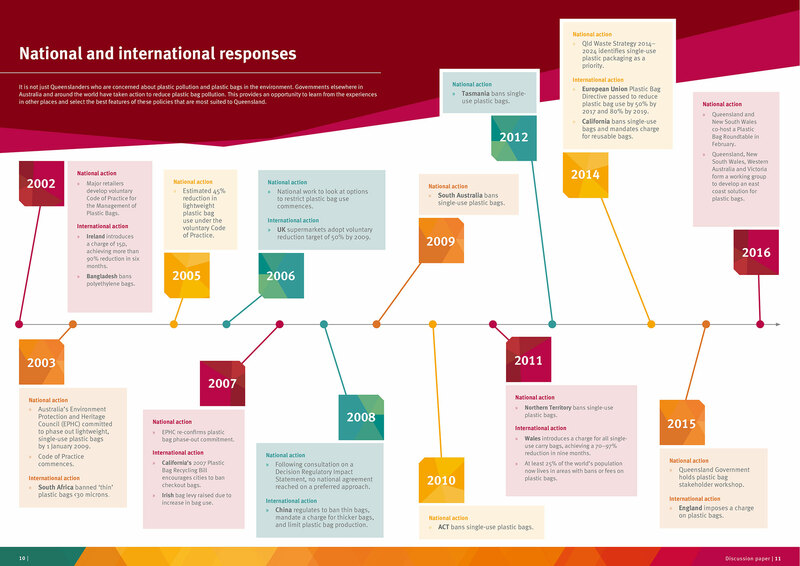 As Queensland prepares to introduce a state-wide ban on lightweight plastic bags, it is interesting to see how other states and countries have handled similar bans. In Bangladesh there was a need to prevent plastic litter entering drains which had been found to contribute to the severity of flooding. In South Africa, plastic bags became known as ‘the flower of South Africa’ due to their prevalence in the environment and there was a need to reduce the aesthetic impact of plastic bags. Plastic bag ban initiatives around the world have had varied results, largely depending on proper enforcement and education. For example, China banned lightweight plastic bags in 2008 however few penalties have been enforced leading to a lack of consumer and retailer confidence. Alternatively, some countries have embraced the ban and have witnessed thriving new industries in reusable bags, creating jobs while protecting natural heritage and tourism income. 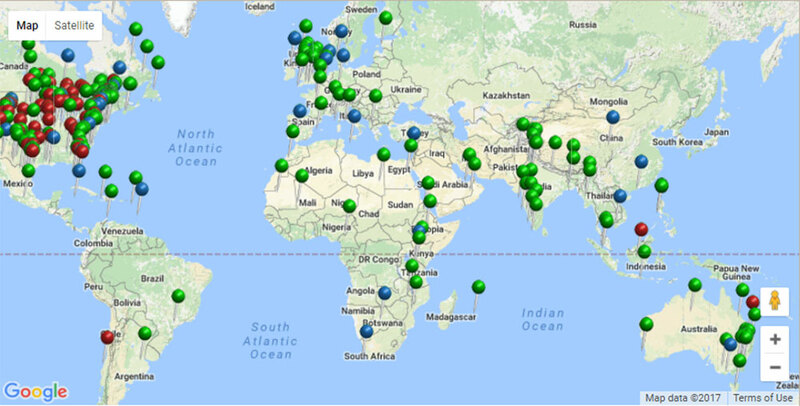 The interactive map below shows a snapshot of plastic bag ban initiatives around the world (note: this map is provided by an external source and is based on anecdotal data). In 2003, Australia’s Environment Protection and Heritage Council committed to phase out lightweight, single-use plastic bags by 1 January 2009. It reaffirmed this commitment in June 2007. Consultation on a Regulatory Impact Statement in 2007 indicated that while retailers expressed concern over any regulation, they did state that any option needed to allow them to continue to provide their customers with a choice. In light of all the considerations, the most appropriate option at the time was considered to be the introduction of a mandatory charge on the supply of a plastic bag by a retailer. 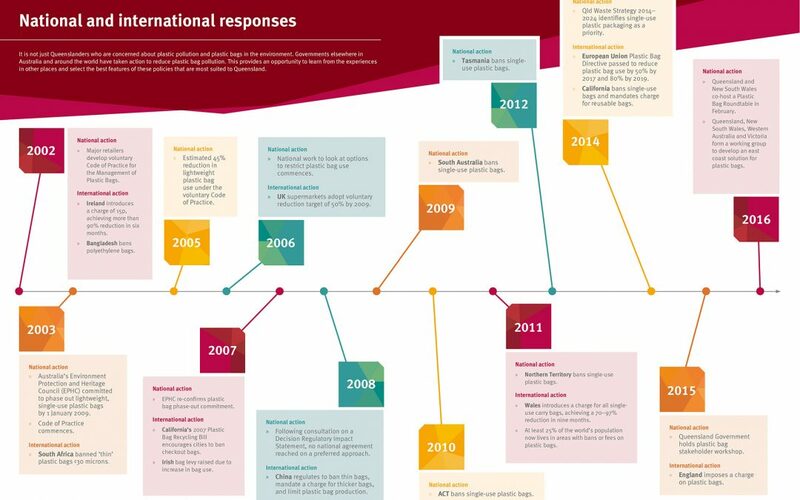 Following the release of a Decision Regulatory Impact Statement in 2008, no national agreement was reached as some states supported a ban while others preferred a Commonwealth charge. Between 2003 and 2005, major Australian supermarkets voluntarily reduced the use of lightweight plastic shopping bags by around 44%. However, by 2007 numbers were rising and approaching 4 billion single-use plastic bags used every year. Since the end of the National Voluntary Code in 2005, there has been no successful coordinated national approach to restricting the supply of plastic bags. In 2008, a levy of 10 cent per plastic bag was trialled at Coles and Woolworths Supermarkets and IGA retailers in Narre Warren, Wangaratta and Warrnambool in Victoria. During the four weeks of the trial there was a 79% reduction in plastic bag use at these supermarkets and the funds raised were channelled into environmental projects. Several towns across Australia have introduced voluntary bans on the use of plastic bags. 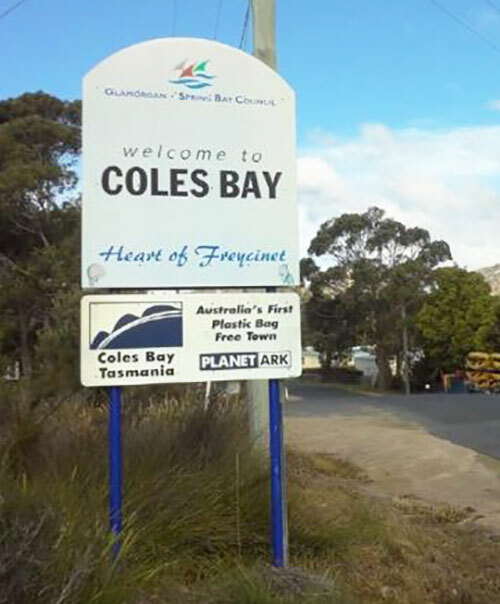 In 2003, Coles Bay in Tasmania became the first Australian town to introduce a voluntary plastic bag ban. In November 2012, Woorabinda Shire Council in Central Queensland became the first local government area to introduce a plastic bag ban to reduce the amount of litter in the community. A number of retailers, including Bunnings, IKEA, Aldi and Super Retail’s BCF and Supercheap Auto stores, have also voluntarily stopped using single-use plastic bags. Target phased out ‘free’ plastic bags in 2009, instead charging for bags based on size. However, they reintroduced the lightweight bag in 2013. Most primary shoppers (84%) reported taking reusable bags always or most of the time. The majority of shoppers (58%) supported the ban, with support strongest amongst younger age groups. Most shoppers (73%) did not feel they had to plan their shopping trips as a result of the ban, with 85% more likely to bring their own reusable bags. Most shoppers (69%) did not want to see the ban extended to cover all plastic bags. Two-thirds of shoppers would like the ban to be implemented nationally. To date, South Australia, the Northern Territory, the Australian Capital Territory and Tasmania have all introduced legislated bans on the supply of lightweight plastic shopping bags, with exemptions for biodegradable bags. 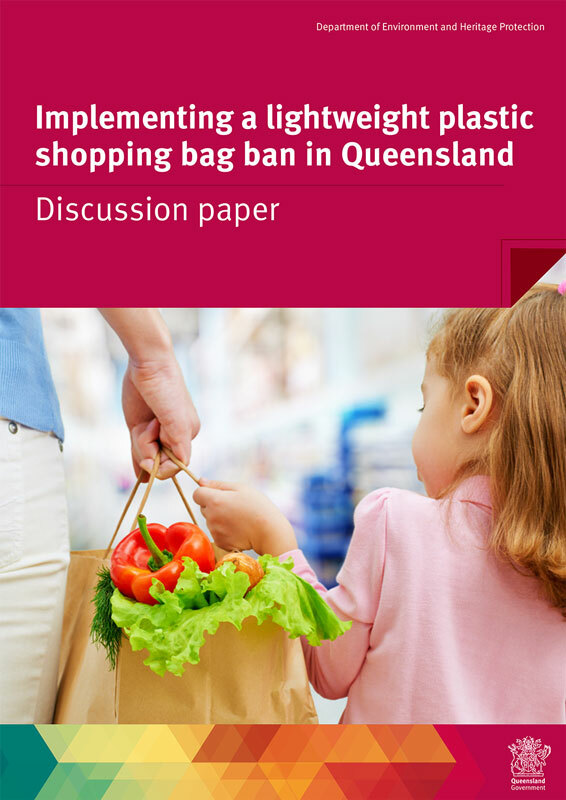 In 2015, the Queensland Government committed to investigate possible restrictions on single-use plastic bags and convened a stakeholder workshop in October 2015. The workshop involved representatives from the business and retail, resource recovery, environmental and local government sectors. Workshop participants were asked to provide feedback on options to improve the management of plastic bags. Following the workshop, bilateral meetings were held with key stakeholders and written submissions on the options for managing plastic bags were received from workshop participants. In February 2016, Queensland also co-hosted a Plastic Bag Roundtable with the New South Wales Government. The retail sector prefers voluntary measures, but agrees that any government regulation should be consistent with other jurisdictions and apply to all retailers who distribute single-use, lightweight plastic shopping bags. If regulation is introduced, the retail sector favours a ban on the supply of lightweight plastic bags, rather than a charge. There is no support for exempting degradable or biodegradable bags from a ban, due to concerns over their environmental impact. There is consensus in the environment sector for measures to also restrict the use of other plastic bags, principally heavier-weight department store bags. All stakeholders agreed on the need for an effective communication and education program to support any regulation, and a lengthy transition period to allow the retail sector and consumers to make preparations. A public discussion paper was released late 2016, with a deadline for responses of 27th February 2017. The response was overwhelming, with the government receiving over 26,000 submissions, with approximately 96% in favour of action on plastic bags. Work with retailers on voluntary actions to reduce the use of heavier-weight department store bags. consistency with other jurisdictions that have implemented bag bans. Obviously, plastic is a bigger issue than bags and bottles and that the end-of-life management of other problematic plastic items will need to be investigated in the future; however action on these two issues provides a starting place for future work. More information and background on the Queensland Government’s decision can be found at www.ehp.qld.gov.au/waste.